Total Philippines Corporation, an importer and distributor of fuels, lubricants, LPG, special fluids and chemicals in the country, with products tried and tested in the most competitive motor sports like Formula One and World Rally Championships is the Major Sponsor of Philippines' biggest cycling race event, Ronda Pilipinas 2013. This year's Ronda Pilipinas with Total Philippines takes 96 cyclists to a 21-day challenge covering 2,200 kilometers around the country. The first stage of the race happens in Zamboanga City and recently concluded final and 16th stage at Baguio City. Cebuanos while celebrating the country's Grandest Festival, the Sinulog Festival 2013 take part on Ronda Pilipinas 2013 as the 4th and 5th stages happens in Cebu City and Lapu-Lapu City respectively. 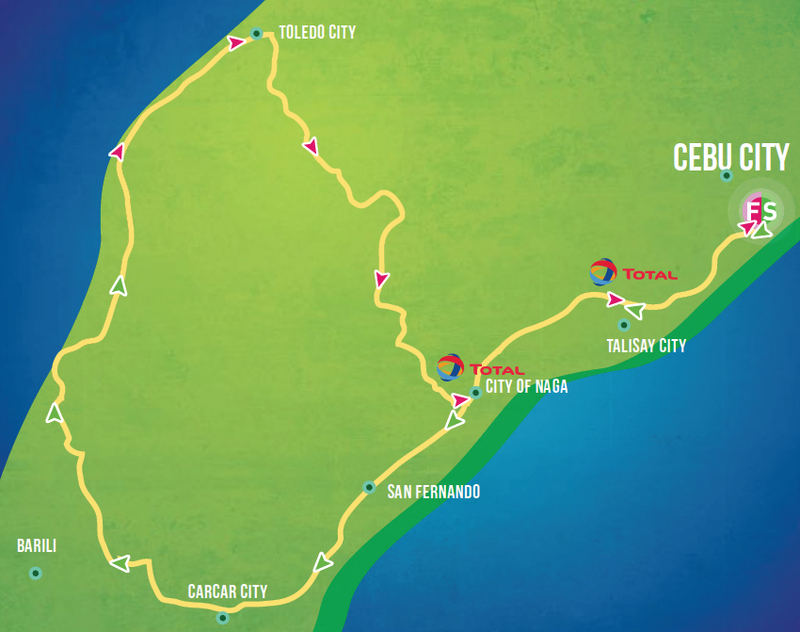 Ronda Pilipinas 2013 has race routes starting and finishing area at Plaza Independencia with Race distance of 134.2 Km and a 11.4 Km neutral section. Ronda Pilipinas 2013 traces the Southern Cebu loop passing two Total Gas Stations in Talisay City and Naga City. The first intermediate Sprint starts at the welcome arch and historical city of Carcar Cebu. Highlights of Ronda Pilipinas 2013 happens at other Cebu South Provincial towns of San Fernando, Barili and Toledo City. Total service stations at Talisay City and Naga City, along the Ronda Pilipinas route have been adorn up to show support to the riders. 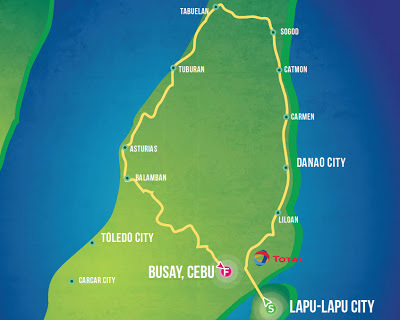 On the 5th stage of of Ronda Pilipinas 2013, a big challenge awaits the cyclists since they will take the Northern Loop of Cebu with starting area at the City Hall growns of highly urbanized City of Lapu-Lapu and Mandaue City where a Total Service Stations is along the route, Town of Liloan with one Total service station, Danao City, Town on Carmen, Catmon, Sogod, Tabuelan, Tuburan, Asturias and Balamban where the real challenge starts as cyclist enters Cebu Trans Central Highway and finishes at the Mountain View Natures Park in Busay Cebu City. 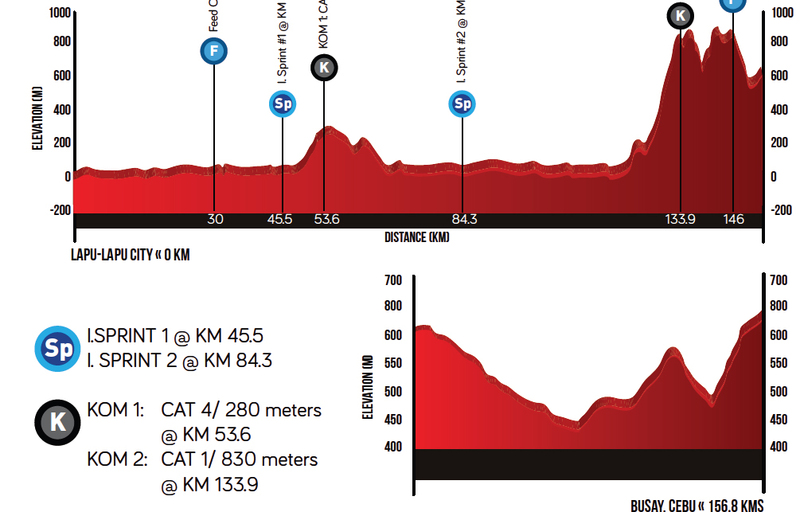 Ronda Pilipinas Stage 5 has race distance of 156.8 kms and a 9.9 kms neutral section. 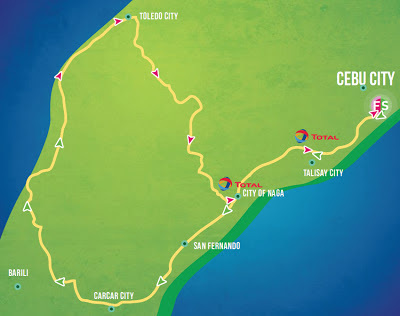 With a maximum elevation of approximately 900 meters that would be in Cebu Trans Central Highway. Total Philippines aside from ground support, provides the fuel products to the Ronda Pilipinas support vehicles, on top of that Total is also a proud sponsor of the Sprint King title, one of the race’s stage highlights with King of the Mountain and Best Young Rider. Ronda Pilipinas Winners of diffrent legs and stages, along with other titles like King of the Mountain, Best Young Rider, and Sprint King would take home close to Php 7.5 million in total cash prizes. Ronda Pilipinas is organized by LBC and Multi Event Enterprise, in collaboration with PhilCycling. Total Philippines Corporation is a wholly owned subsidiary of Total SA of France. Total Philippines Corporation has a growing network of 188 service stations in the country. 0 comments: on "Total Philippines Sponsors the Biggest Cycling Event Ronda Pilipinas 2013"